$25.00 | 50 ml / 1.7 fl. oz. Believe it or not, one of the parts of the body that ages the quickest are the hands. Due to sun exposure, constant repetitive movements, the drying processes of soaps and chemicals, and thin and delicate skin, your hands can age faster than you’d believe possible. Thankfully, we have come up with an exfoliating botanical-based scrub that removes dead skin cells from the surface and helps stimulate cell turnover, revealing younger-looking, soft, hydrated hands! The exfoliating process is an important step is in getting hands ready for our Corrective Hand Cream. Once hands are exfoliated, active ingredients present in the hand cream can penetrate into the skin and work their magic! Use once to three times weekly. Vitamin E, Green Tea, and Sea Kelp Extract – Antioxidant that protects from oxidative stress, sooths inflammation and boosts collagen production. Orange Flower Extract – source of vitamin C, antioxidant and astringent properties. Aloe Barbadensis – softens skin and moisturizes with anti-inflammatory properties. Chamomile and Lavender – contain soothing and anti-inflammatory powers. 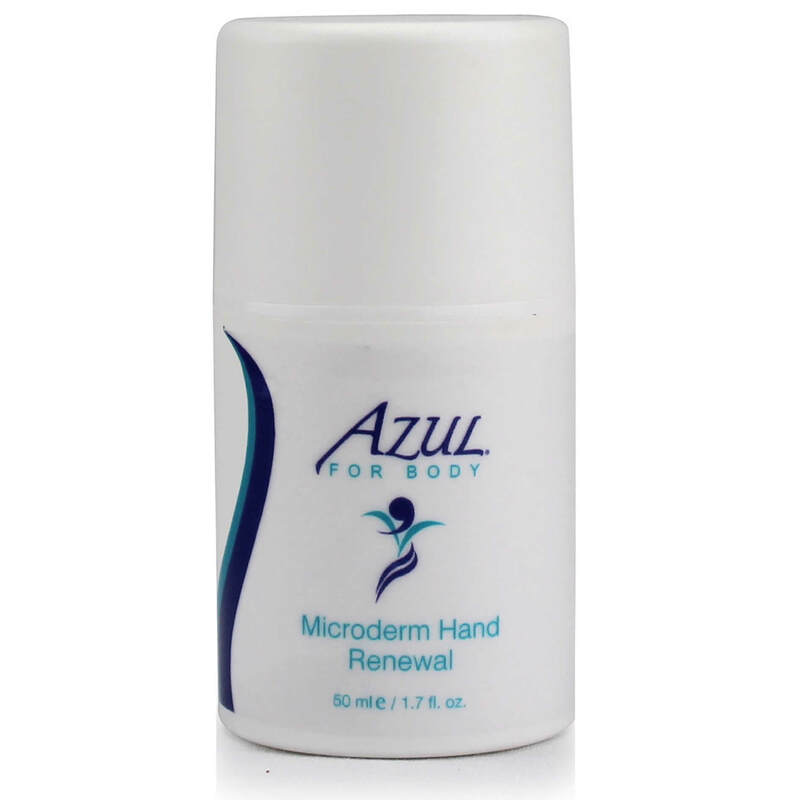 How do I use the Microderm Hand Renewal? Apply to damp skin backs of hands and scrub in a circular motion for 30 seconds. Rinse well and pat dry. Use 1-3 times weekly. Follow with Daily Corrective Hand Cream.